Come visit us at Circle Craft Winter Market Nov 7-11 2018 at the Vancouver Convention Centre (West). There is a lot of time to choose from Wednesday, Thursday & Friday 10am to 9pm; Saturday 10am -7pm; Sunday 10am-5pm. There are 300 other Vendors to visit as well. Remember shopping is available all the time at Sacredmountainlavender.com! 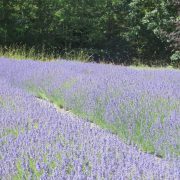 Browse our entire product catalog, order online and have Sacred Mountain Lavender from Salt Spring Island delivered to your doorstep!You can also take a tour of the farm and learn more about what else we have to offer, from custom retreat packages to equine therapy.